Requested as an extension of a 50m Perini Navi sailing yacht, the 25m Eco-Tender mirrors the graceful looks, quality feel and luxurious comfort of the mothership. 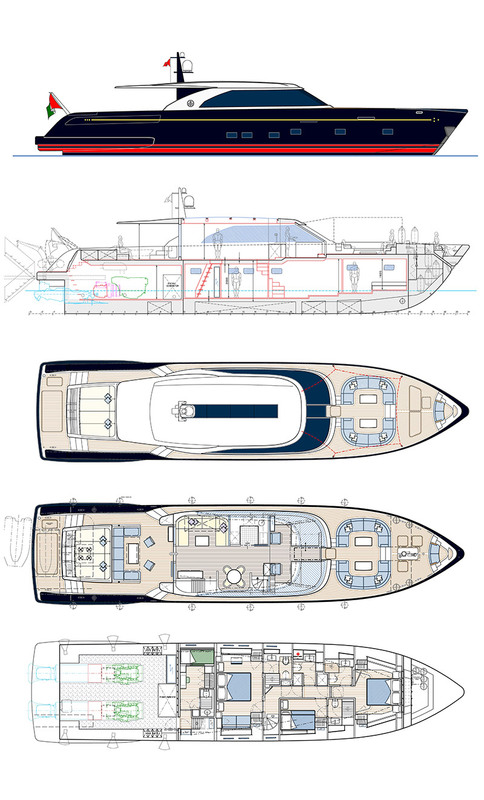 The beating heart of this mini superyacht is her flexible propulsion system offering four distinct drive modes: diesel-mechanical, hybrid, diesel-electric and zero emission. The Eco-Tender breaks new ground as we continue to refine our product range to meet the evolving demands of our owners.